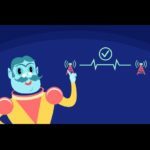 This activity uses the concept of the escape room: stuck in a future where communication has ceased, students must cooperate to solve riddles, in order to re-establish communication and travel back to their present. The riddles give the opportunity to practice several language skills at once, to sharpen the students’ team spirit, and to make them think about some bilingualism-related questions while having fun. 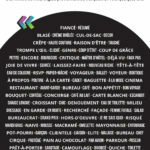 This activity was designed for a group of 18 to 30 students registered in a French program, from Grade 10 to Grade 12. It includes 2 videos, a user’s guide, ready-to-print riddles and their solutions. The purpose of this activity is to make students identify words and phrases that we use in English that come from French, such as: “bon appétit”, “à la carte”, “rendez-vous”, “déjà-vu”, etc. Students realize that they know much more vocabulary in French than they thought, and that the French language is everywhere in their daily lives! It also shows that French and English are living languages, and that words are often transmitted from one language to another. This activity includes: one poster, one video in French, one teaching guide. The purpose of this activity is to open students’ eyes to the professional possibilities that their bilingualism can offer them. The video and the poster review myths and truths on the usefulness of French in the job market, with reliable data to support it. The teaching guide allows the teacher to go further and to encourage students to do their own research on potential career choices for bilingual people. This activity includes: one poster, one video in French or in English, one teaching guide. The purpose of this activity is to make students realize the multitude of advantages that being able to communicate in French offers, on cultural, personal, professional, and educational levels. The poster and the video bring a list of reliable arguments to demonstrate the added value of a French education to students. The teaching guide allows the teacher to push students further in their reflection and find what is their own motivation to learn French. The purpose of this activity is to make students discover the richness of the French language – a language that makes great use of imagery – through diverse idiomatic expressions such as “avoir l’estomac dans les talons”, “casser la croûte” or “faire le mur”! Students enrich their vocabulary while having fun thanks to our trivia game and other activities described in the teaching guide. This activity includes: a trivia game (available as a PowerPoint or online on Kahoot! ), a teaching guide, a poster on French-Canadian idiomatic expressions. 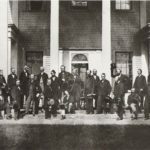 The Canada 150 Activity aims to show students the link between Canadian linguistic duality and Canadian Confederation in 1867. This activity includes a detailed lesson plan, a “Knowledge” document for teachers, a video, and an online Kahoot! quiz. The purpose of this activity is to have students exercising while playing, which will help them to stay focus during the class. 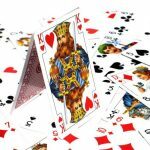 Students will learn the names of various exercices in French and will revise the names of card suits. This online quiz, available on Kahoot! 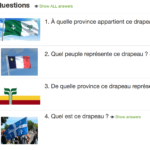 is a great way to check your students knowledge on francophone communities in Canada and their symbols. 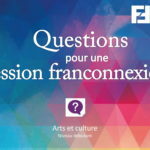 You can use this game with the French-Canadian idiomatic expressions poster, which is provided with every Franconnexion Session toolkit. This online quiz, available on Kahoot! 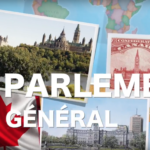 is a great way to check your students knowledge of the video “Quel est le lien entre la dualité linguistique canadienne et la Confédération de 1867,” and their knowledge of official bilingualism’s roots in Canada in general. 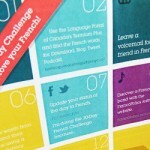 The 30-Day Challenge: 3o fun tasks for your students to do to include more French in their daily lives! Whether it’s changing the language of their Facebook account into French, discovering a new French artist, listening to French radio, or reading an article, your students will soon realize that they can live in French if they choose to do so, by doing simple things. A great way to challenge your students! This game includes: a bilingual 30-Day Challenge document, to be printed. This trivia game is an excellent way to help your students discover the vocabulary of the arts world while testing their knowledge on the subject. Questions mix Fine Arts with contemporary general culture: television, video games, music, comics, films, etc. From Saint-Exupéry to Jean Leloup, including Asterix and Obelix, your students are going to discover some of the greats! This game is available in PowerPoint or online on Kahoot! Two levels are available: beginner and intermediate-advanced. 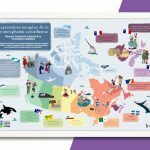 This trivia game will help your students discover expressions and fun facts about several Francophone countries around the world. Your students will realize the diversity and the vastness of the francophonie of which Canada is a part. This trivia game mixes vocabulary and sports-related general culture questions. 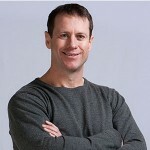 Questions are related to hockey, soccer, swimming, cycling, figure skating, athleticism, etc. Students develop their vocabulary on sports while testing their general knowledge on the matter. 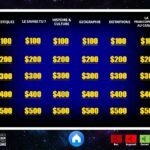 Based on the famous TV game show, this trivia game will help your students discover interesting facts about French language in Canada and around the world. They will have to cooperate and compete to be the winning team in this unusual kind of trivia game: presented with an answer, they must phrase their response in the form of a question. A great way to have fun while revising the interrogative form! This game is available in PowerPoint or Google Slides. Two versions are available: original (they have to find the questions) or inverted (they have to find the answers). Learning a New Language: Hard Work Pays Off! 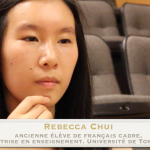 Rebecca Chui, a former Core French student tells us about how she learned French. 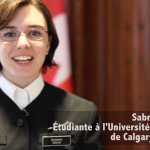 Even though she was only exposed to French at school, Rebecca took learning French very seriously, like any other subject, and she persevered to reach the level she is at today. Now, she is studying to become a French teacher. Students can easily relate to Rebecca, because she talks about the challenges and the difficulties she encountered during her learning process. The teaching guide that accompanies the video is a good start to a discussion with students on their own difficulties and how to overcome them. This video includes: a video in French or English, a teaching guide. 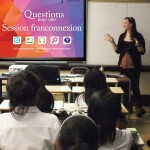 French Immersion: For who, For What? Sabrina Smith, a former French immersion student, talks about her experience of learning French in Immersion. She talks about all the doors her bilingualism has opened for her, especially those of Parliament – she works at the House of Commons as a Page. She describes how she uses her French in her daily life, with her University professors, her friends, and her colleagues. Her message is for students currently in High school who don’t yet see the advantages an education in French can provide for their future. 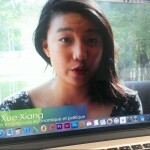 Élodie, Kelly and Ying Xue are three young people from three different Canadian provinces, but they have something in common: they met thanks to la francophonie, and French is a very important element in their lives. They tell us about all the amazing opportunities they had access to by being bilingual, and how they travel everywhere in Canada discovering the diversity of Francophone culture. They take French to heart, and it is contagious! This video includes: a video in French (with subtitles available in French or English), a teaching guide. Hughie Batherson is Vice-President of Student Affairs at the Université Sainte-Anne, in Halifax, Nova-Scotia. Through this video, Hughie explains with humour what it is like to be an Anglophone learning French at university for the first time. Between the one-on-one conversation and the one-man show, Hughie’s message connects with young people and encourages them to keep the gift of French alive. This video includes: a video in French, a teaching guide.